I can live my life without a flat iron, a curling iron, and probably even a blow dryer. But try and take my Q-Redew away from me, and you are just asking for trouble. So what is this genius product? 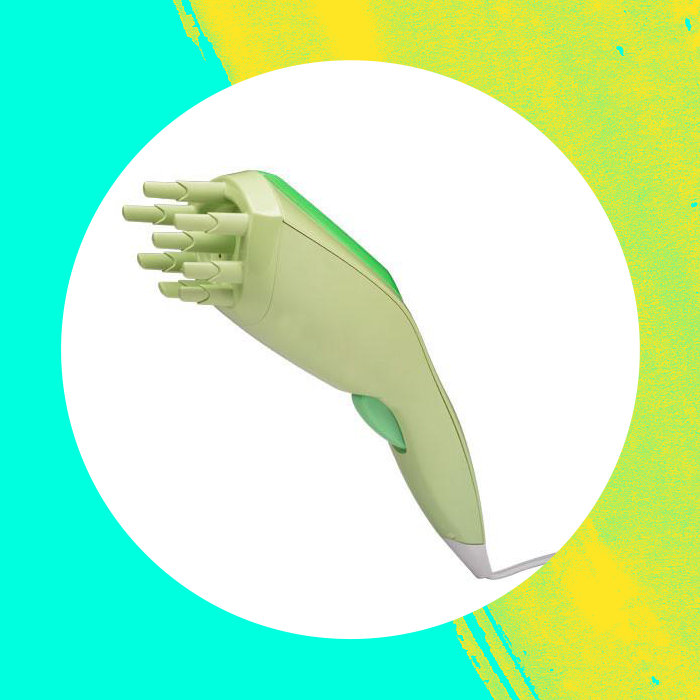 As stated on their website, "The Q-Redew is a handheld hair steamer that uses warm steam as mist to enhance your hair's natural volume and texture. The Q-Redew hydrates, reshapes and restyles dry hair in minutes. No mess, no fuss, no chemicals--just water. The innovative Q-Redew tool allows perfect styling control in minutes without rewetting or shampooing. You apply the Q-Redew's warm steam as mist to reshape, hydrate, volumize and style your mane. Boost your curls, restore moisture to dry hair, lift flat hair, transform bedhead to your best hairstyle. The Q-Redew disperses gentle warm mist into the cuticle of dry hair to naturally moisturize the strand leaving your hair dry, but revitalized." The one tool can help fix second day hair without the need to rewet, it can revive hair that has become flat, can reshape curls that may have lost their shape, and help to hydrate dry and brittle hair. I have been using my Q-Redew for over a year now. It is very easy to use. You just pour some water in the reservoir, plug it in, wait a few seconds to heat up and go. I exercise almost daily and often get the dreaded "ponytail dent" and this Q-Redew helps that dent effortless disappear. I love it to refresh day 2 and day 3 hair. Because I have a looser curl pattern that very easily gets stretched out, the Q-Redew helps to bring my curl definition back all over. I especially love the Q-Redew in the winter when the air is really really dry and my hair looks lifeless and dull. Using a little of the steam it brings my waves back to life and has attributed to more good hair days than I would have had without it. Whenever I use my table-top steamer for a deep treatment, because I have a lot of long hair sometimes I feel the bottom and ends of my hair don't get enough steam directed to them. I can go in the with Q-Redew after a steam session and target the most damaged areas with direct steam for a mega treatment. 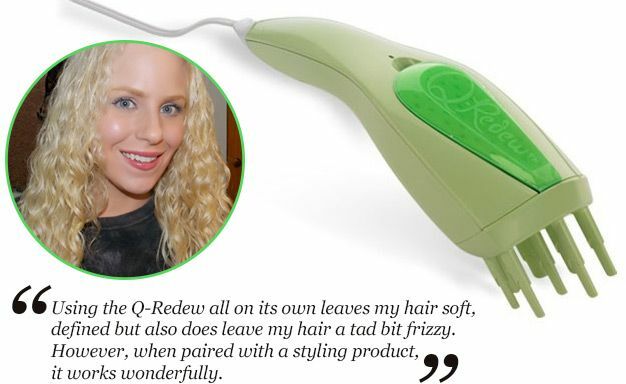 Using the Q-Redew all on its own leaves my hair soft, defined but also does leave my hair a tad bit frizzy. However, when paired with a styling product, it works wonderfully. My favorite product to use with the Q-Redew is the DevaCurl Set It Free Mist. I just spray some SIF on the section of hair right before I Q-Redew it. Also when I use the Q-Redew I need to apply less styling products overall on my days 2, and 3 hair. My one wish is that the Q-Redew comes out in a mini travel size version. I recently was away and there was some day 2 and 3 hair blunders that were driving me nuts which I knew I could have fixed if I had my beloved Q-Redew with me! I still use the Q-Redew. I reach for it more in the winter than summer. 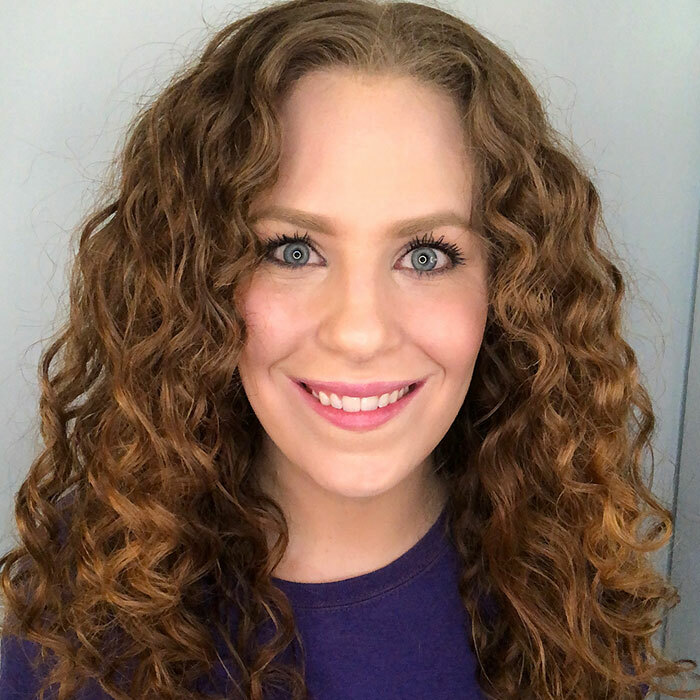 I don't use DevaCurl anymore and don't use Set It Free with It. Lately I find pairing it with Briogeo Curl Charisma Leave In Creme works wonders. I use it still in the same ways as I mentioned in the last article. One thing to note is to use distilled water with it. I still have my same Q-Redew from years ago but it clogged up a few times because of hard water and minerals. Heidi (the Q-Redew owner) sent me a kit with instructions on how to fix it and it worked like a charm right after.